Wedding Plans. Be it you are planning your wedding or are planning one for a loved one, it is without a doubt that you have come to realize that planning one can be quite challenging. To make things easier for you as you plan a wedding, here are a couple of tips for you to consider to ease your wedding plans. We all know that religion plays an important role in any wedding and married life and is therefore something that you should consider when making wedding plans. Did you know that you can enjoy better rates on your wedding day if you scheduled it to take place during an off-peak season? Traditionally, the wedding season lasts from May through to September. During this period, wedding venues tend to be quite expensive. However, if you still want your wedding to take place during this period, it is important that you consider making all your arrangements a couple of months in advance to ensure that you get to enjoy the best deals possible. Purchasing a wedding gown over the internet could help you save a ton of money. However, it is important that you buy it earlier in advance so that you have time to alter it before the D-day. If this is the way you are considering to go, it is advisable that you include this cost in your overall budget. The photos taken at your wedding are certainly going to be some of the most important pictures you will ever own. As such, when looking for a photographer to cover your event, it is important that you consider different photographers before settling for one. At the same time, it is important that you settle for someone who is not only professional but who’s also experienced when it comes to wedding photography. The truth of the matter is that you do not want to end up hiring a photographer whose services you are not going to be happy with at the end of the day. Steak and chicken are so overrated; how about switching up things for a change? A little variety certainly makes life that more exciting and will, without a doubt, make your banquet something people remember – just as long as you get it right. Transportation is another critical aspect to consider when planning a wedding. As such, it is advisable that you consider having limos and taxis available to transport people who do not have rides back home when the night comes to an end. This idea is also a good one if some of your guests will be drinking. When thinking of tying the knot, it is important to remember that marriage is a bond two people make and will require lots of sacrificing. As such, it would be a good thing if you honestly and wholeheartedly expressed your love for the person you have decided to settle with by penning down a personalized vow. When it comes to wedding receptions, the middle of the day is the best time to host one. You’ll find that most people are not ready to drink that heavily during the day. This way, ensuring that drinking is at a manageable pace becomes easier as most people drink less during the day. If your budget allows it, considering taking a cruise and having your closest friends and relatives come along with you. This way, you can get to enjoy your honeymoon soon after. The great thing is that some cruise companies offer special rates to couples marrying and honeymooning on their vessels. With the advice provided in this article, there is no need to get stressed anymore when planning a wedding. Doing your homework and exploring different options will give you the opportunity to plan a wedding that is not only enjoyable, but that is virtually stress-free. Considering the wealth of knowledge you’ve attained from the information provided here by American Limousine Service, it is about time that you start putting it to good use. While learning about weddings on American Limousine Service might be somewhat hard, the thing is that you’ll end up building a good and strong wedding planning foundation and will be a blue widget wedding planning professional in no time at all. 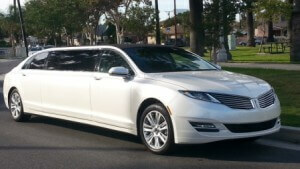 Given your new base of information on weddings with American Limousine Service, start putting it to use. It might be hard to learn about weddings with American Limousine Service, but you will gain a good foundation right here. You will be a blue widget expert in no time at all.